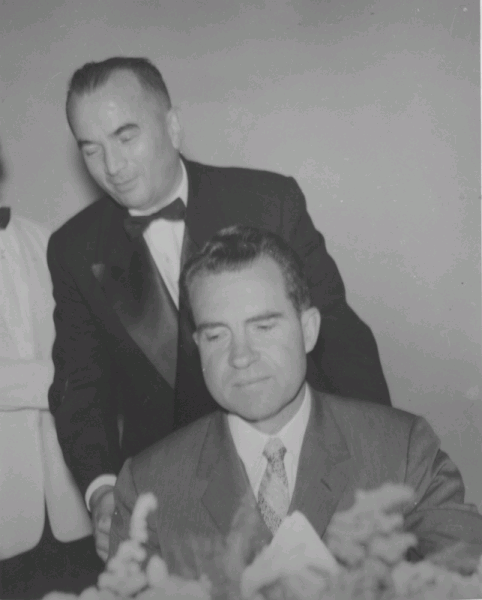 In honor of San Francisco Opera’s 25th anniversary production of John Adams’s Nixon in China, here’s some lesser-known Nixon history. The photo shows cousin Jack seating the Vice President at Restaurante Temel in Bogotá, Colombia. This was during Nixon’s South American tour in May 1958. I’ve been waiting 25 years to hear Nixon in China in person, so I am really looking forward to the performance tomorrow.